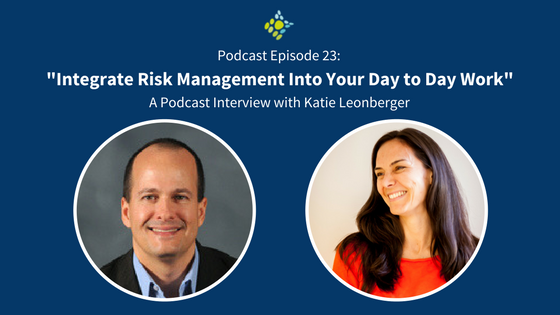 Katie Leonberger is a powerful voice in contemporary nonprofit risk management. As CEO of Community Resource Exchange (CRE), a nonprofit support group based in New York City, she worked on the risk management subcommittee (with podcast guest Michael Zisser) for the Human Services Council’s task force evaluating the fall of FEGs. Since then, she has been an active member of the Ahead of the Curve consortium, and under her leadership, CRE has developed a new tool — CREFT — to help nonprofits evaluate the risks they face. Katie can be found online @KatieLeonberger. CRE is on Twitter as @creinnyc. To find out more about CREFT, you can email CREFT@crenyc.org.